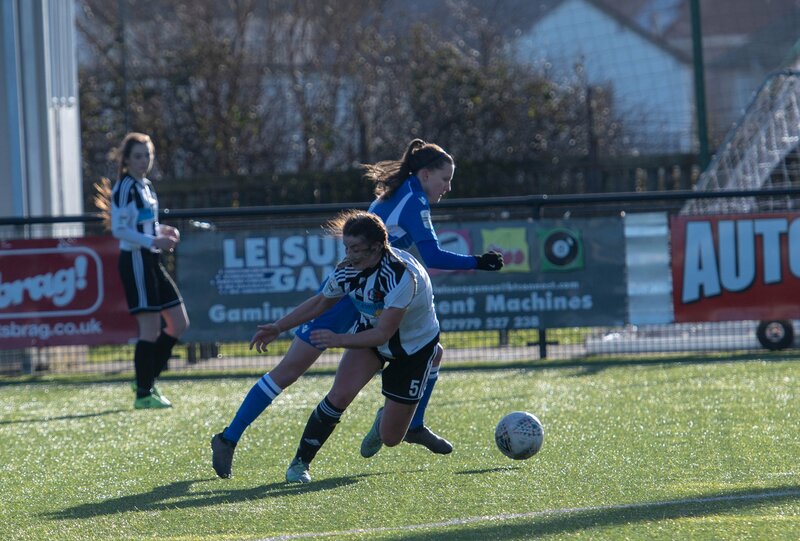 There was comfortable progress for two Cardiff sides in the FAW Women’s Cup, while Abergavenny won 2-1 at Llandudno to reach the semi-finals. Abergavenny reached the semi-finals with a 2-1 win away at Llandudno, who had levelled before half time. Kate Jeremiah had seen a shot tipped over the bar after home keeper Georgia Smith first denied Eliza Atkins. Jeremiah did put the visitors in front 6 minutes short of the interval but the home side swiftly restored parity. Laura-Jane Davies then popped up with what proved to be the winner for Abergavenny in the second half. Cardiff City FC stormed into a 3-0 lead in a dozen minutes as Zoe Atkins, Alana Murphy and Catherine Walsh all scored. Rebecca Bannister pulled one back but Walsh made it 4-1 at the break, with Lucy McDonough and Emma Griffiths adding one apiece for last season’s runners-up. Cardiff Met also made a fast start against Cyncoed, with Chloe Tilley nutmegging the keeper and Madison Schupbach nodding home a Stacey Ayling free kick in the opening quarter of an hour. Alice Griffiths forced the ball in after a scramble in the box and then Schupbach struck the fourth in via the bar. Cyncoed got a goal back on 74 minutes but the Archers swiftly completed the scoring as Naomi Clipston’s through ball was put away by Ellie Walker-Smith.